Ultimate Sea-Doo Oil Change Kit This is the perfect kit for changing your Sea-Doo oil. Kit includes a top of the line hand oil extractor pump which features a 1.59 storage tank. Everything is included to change any of the 4 stroke Sea-Doo watercraft except for the SPARK. If you are unsure whick model of Sea-Doo watercraft you have, please e-mail us the VIN and We will let you know. 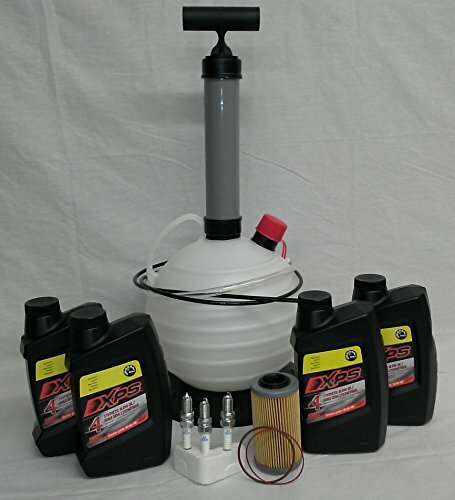 Works with 4 Stroke: GTX, RXP, RXT, GTI * Note, This kit has Genuine BRP oil and filter, o-ring brands will vary.